In summary, I will definitely be letting 1E know about this issue. 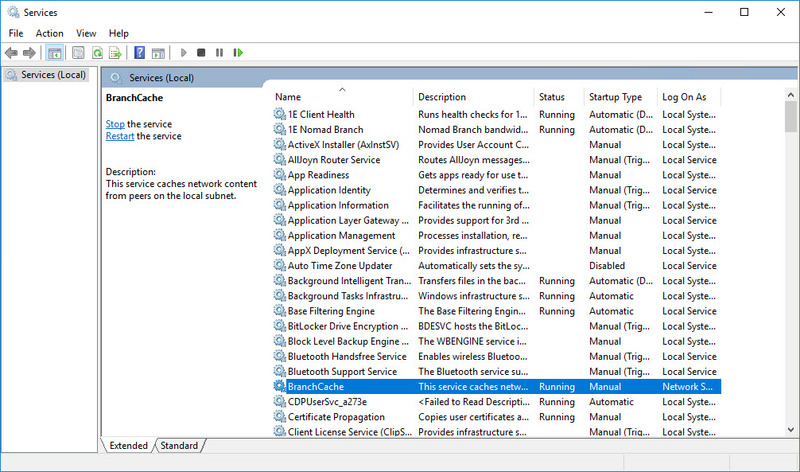 BranchCache is used for things other than ConfigMgr traffic in the Enterprise (i.e. SharePoint and other web applications). 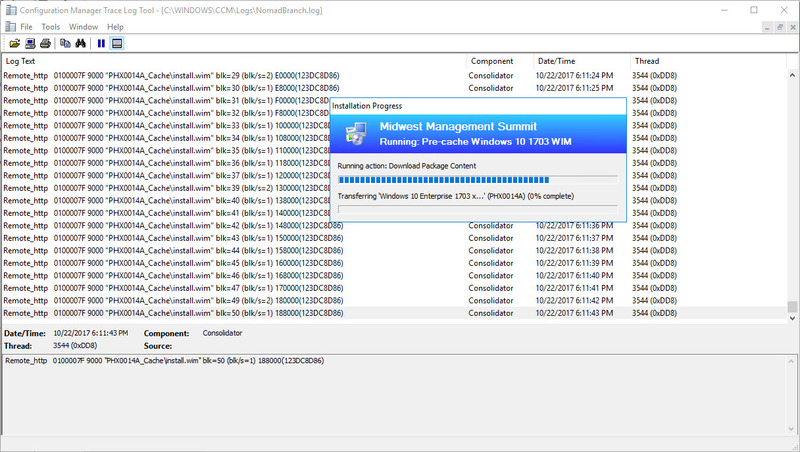 Also, BranchCache could even be used for ConfigMgr traffic that Nomad does not handle (like WSUS, Automatic Client Deployment, etc. ), even for Nomad customers! For some reason, I knew you were going to say that. 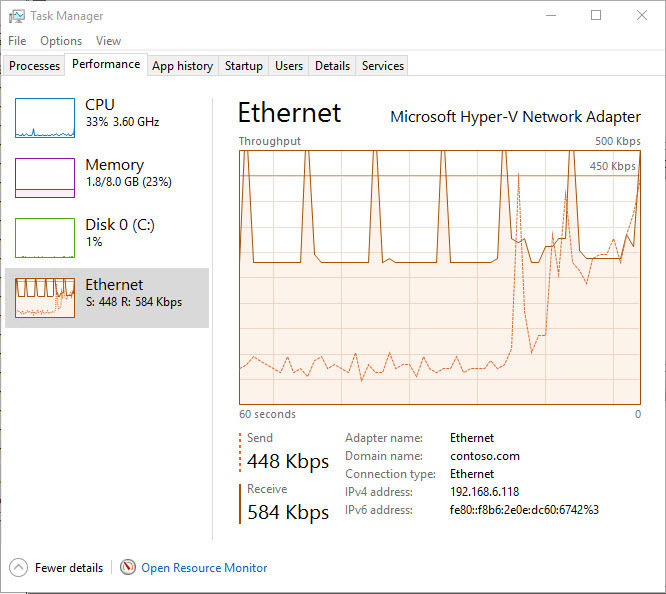 Not a good work around if you have non-Nomad clients using BranchCache that pull from the same DP. Agreed. As I say, we’re currently creating a fix that can be applied to the Nomad agent to resolve it. Having said that, the vast majority of our customers will not be relying on branchcache on their DPs, but for the few that do, the fix will be provided. What’s happening, after the Nomad election, http headers invoking Branchcache are being added to the HTTP Get request made by Nomad to the DP. 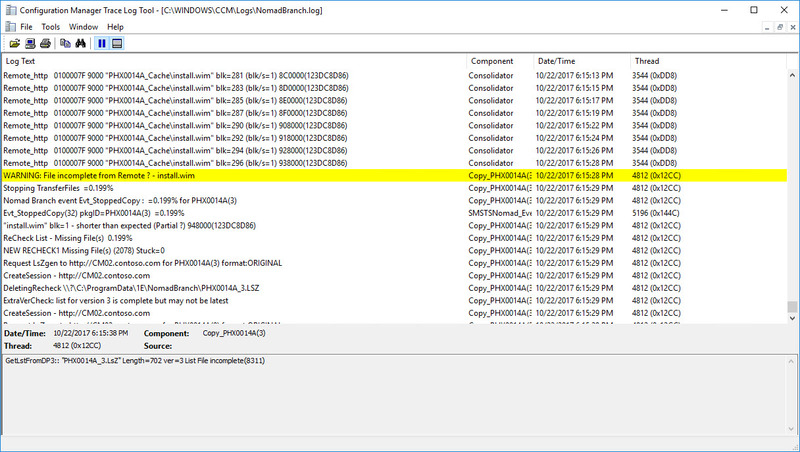 Branchcache then goes about broadcasting for the content on the subnet before downloading from the DP causing the delay. We can modify the header to ensure the download from the DP happens without delay. 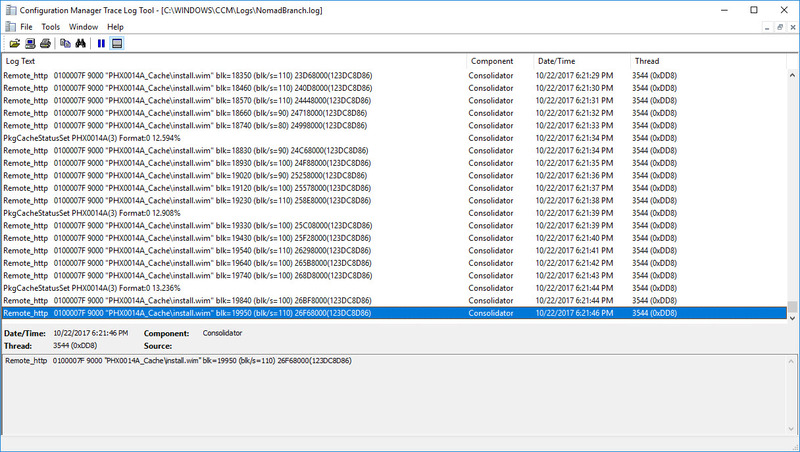 It’s also important to mention that in the current release of Nomad (6.3) with it’s Dynamic Block Size feature, the download delay with branchcache diminishes massively. Since the delay is caused per block request. 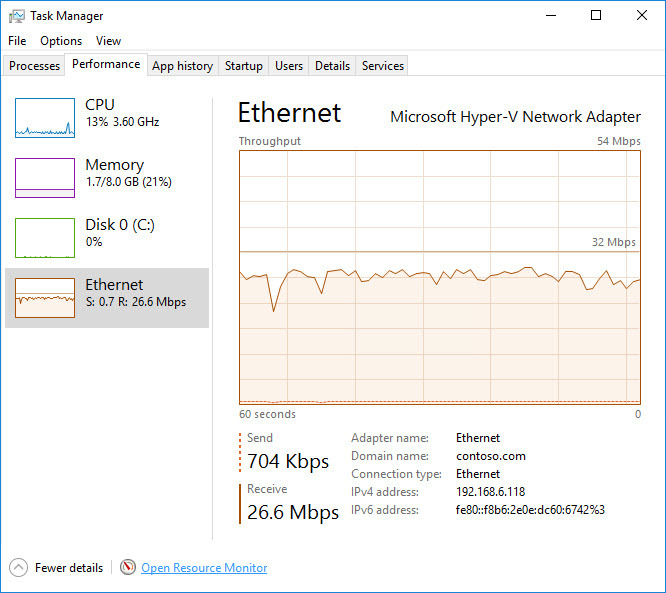 6.3 is able increase the block size up to 16MB – depending on bandwidth available of course.